Aero Express is the an Authorized Distributor for the Barfield SC063 Test Set. Aero Express will buy, sell and trade the SC063 depending on your needs. 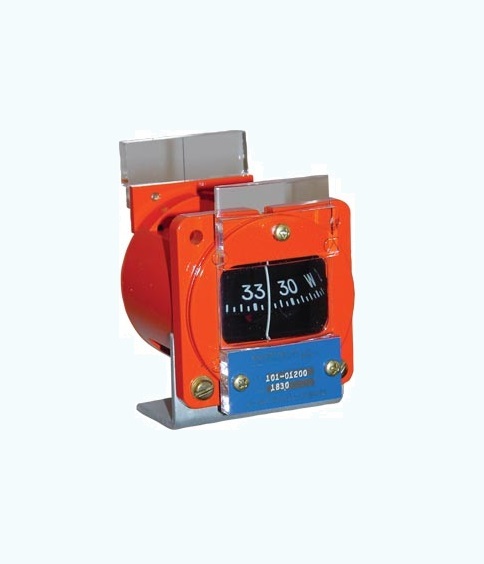 The SC063 is a portable, self-contained calibration device used to check the mounted aircraft compass. Consisting of a modified aircraft compass which has been re-screened to indicate 180 degrees from normal. The SC063 allows the operator to stand facing the aircraft, making it considerably easier to transmit signals to and from the aircraft cockpit. The SC063 is unique in that the compensating magnets have been removed and a combination magnifying lens and collimating sight added. The compensator has been removed so the compass indicates magnetic direction at all times and is not subject to calibration offsets. The magnifying lens increases the readability of the dial and the collimating lens insures precise sighting alignment. Attached to the rear of the compass is an adjustable sight lens. The lens is precisely aligned to insure that the overall accuracy of the dial does not exceed ±1 degree. Express Calibration is the Authorized ISO-17025 Calibration and Repair shop for the Barfield SC063. Visit www.expresscal.com for full capabilities. Since its inception, Express Calibration Services has supported Aero Express’ endeavors in providing test equipment support services. Express Calibration Services is an ISO-17025 certified calibration lab.